If “what makes you happy makes you healthy” then Josh and Lisa Thompson must be incredibly healthy, and vice versa. It’s a philosophy that the couple, who launched the first iteration of their casual café concept The Farm Wholefoods in 2015, abide by in every aspect of their shared venture. And clearly, it’s one that works: earlier this month The Farm expanded (once again) to Cammeray on Sydney’s lower North Shore. In going back to the drawing board for their latest outpost and three imminent openings in Brisbane slated for later in the year, the couple decided on a more wholistic approach and enlisted nutritionist Jacqueline Alwill to devise a seasonal menu that offered ” a combination of light summer salads, more substantial breakfast and lunch bowls, and a greater range of summer cold pressed juices and smoothies” while adhering to their mission statement of being “health conscious without being fanatical”. 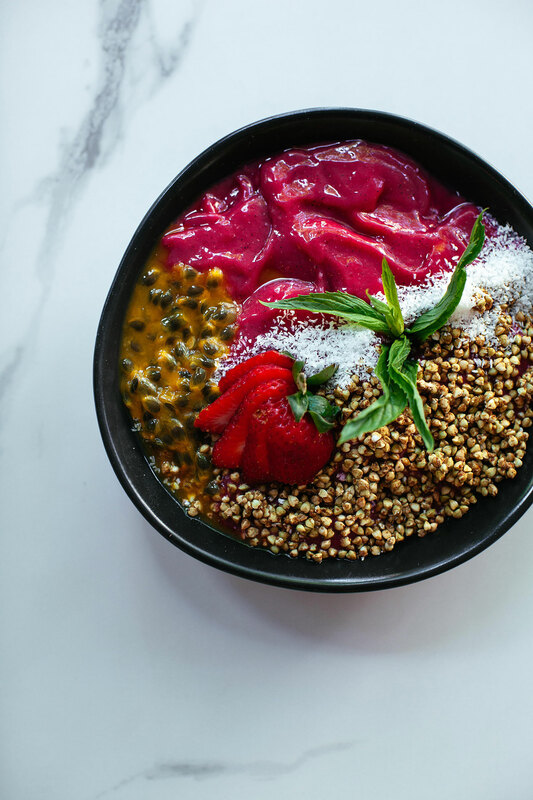 That means colourful additions like the ‘Green Start Breakfast Bowl’ of eggs served with broccoli, baby spinach, avocado, lemon, pesto, chilli flakes and dill, or the ‘Açai Smoothie Bowl’ of açai mixed with berries, banana, cacao nibs, cinnamon, dates and coyo blended with coconut milk and topped with buckinis and seasonal fruit. 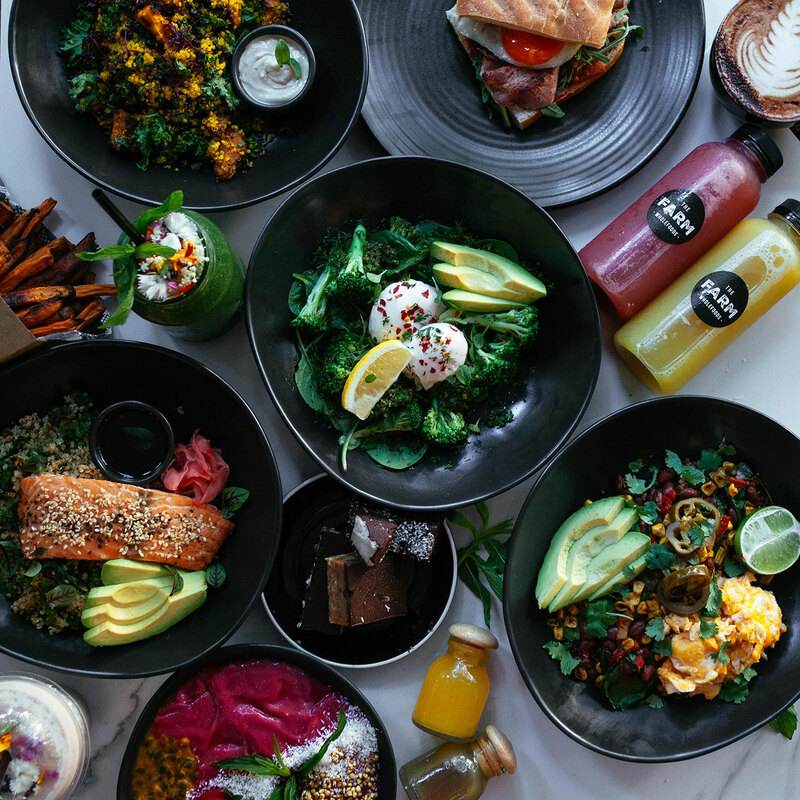 As for the sudden preponderance of nutrient dense bowl-style dining, the Thompsons attribute it to a demand for more casual options that can be easily prepared for both dine in and take away (or at-home recreation). A social media friendly format also helps, naturally. Below, two recipes for nourishing breakfast (or lunch) bowls from The Farm that are almost as irresistible as the admittedly hackneyed pun on ‘Squad Bowls’. 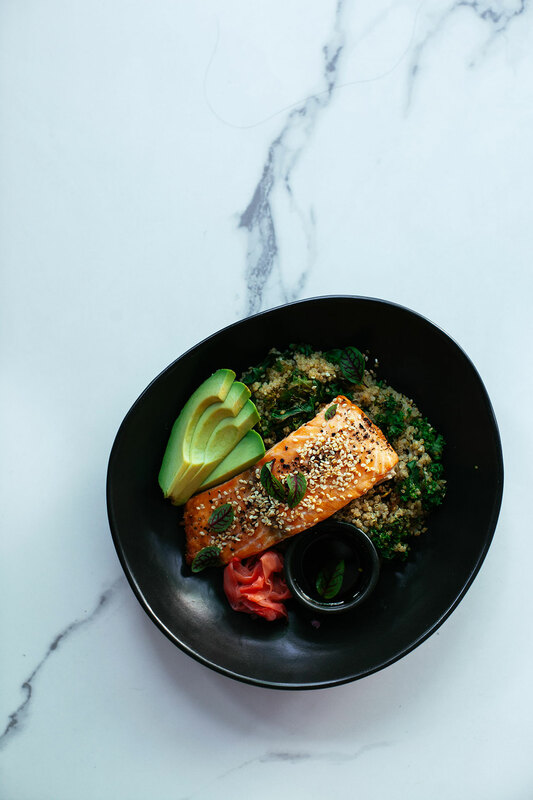 Sesame sprinkled salmon fillets served on a bed of quinoa, spring onion and kale, topped with avocado, pickled ginger and a Japanese-style dressing. Place the salmon on a baking tray and sprinkle with salt and pepper. Bake for 8-10 minutes. Toss the spring onion, quinoa and kale in a frying pan for two minutes until the kale has wilted and warmed through. Pile the kale mix in the bowl, and top with the salmon fillet. Sprinkle the salmon with the sesame seeds. Add the pickled ginger, sliced avocado and top with a lemon wedge. Place all dressing ingredients in a jar and shake to combine before serving alongside the fish. Pitaya, mango and banana blended with coconut water, topped with buckinis and fruit. Place the mango, banana and pitaya in a blender. Add in the coconut water, starting with 75ml and adding more as required. Blend until you achieve a sorbet-like consistency before placing into a bowl. Decorate with toppings and serve. Hot style tips for any girl who’s asked herself: are Watches Jewellery?